Shemar Franklin Moore is an American actor and former fashion model. He is best known for his notable performances in The Young and the Restless, Criminal Minds and Soul Train. 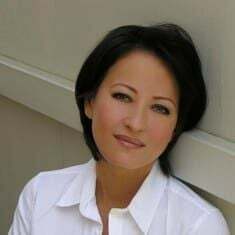 Moore has won several awards including Emmy Awards and Image Awards. Moore started his career as a model and later moved to television shows and films. From 2005-017, he appeared in a mainstream role in Criminal Minds. 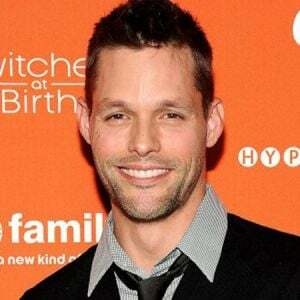 He appears in the TV series SWAT alongside Stephanie Sigman, Alex Russell, and other stars. 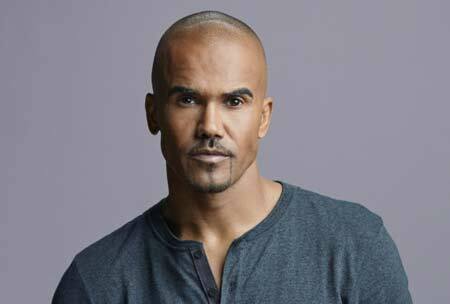 Shemar Moore was born as Shemar Franklin Moore on April 20, 1970, in Oakland, California, USA. He is an American by nationality belonging to the mixed ethnical background. Moore is the son of Marlyn Wilson (father) and Sherrod Moore (mother). His father, Marlyn is a former business consultant, whereas his mother, Sherrod is a degree holder in the mathematics subject. His mother worked as a teacher in Bahrain and Denmark. His father is of African descent and mother is of Irish and French-Canadian descent who was born in Roxbury, Massachusetts. He has four siblings; Romeo Moore, Shannon Moore, Sheburra Moore and Kosheno Moore. Moore was an infant when he moved to Denmark with his mother and then to Bahrain when he was four with his family. He attended a British private school in Bahrain until the age of seven. He wanted to be a baseball player but he ended his dream after a shoulder injury. Shemar Moore completed high school diploma from the Gunn High School. He then studied BA in communication at the Santa Clara University. During he was at the college level, he did some minor project to pay his bills and his work in The Young and the Restless is regarded as the best work performed by him. In 1995, he appeared in Tony Braxton’s music video for How Many Ways and subsequently dated the singer for some years. Shemar Moore started working in 1994, and he received his first television role in The Young and the Restless where he played Malcolm Winters. Moore was the host of the syndicated Soul Train from 2000 to 2003. Shemar Moore appeared in The Brothers in the year 2001 as his hit performance continued by Birds of Prey that came in 2002 for next one year. In 2003, he appeared in a TV movie, Chasing Alice. Following year, he appeared in two TV film, Nikki, and Nora and Reversible Errors- an episode of TV series Half & Half. In 2005, he started appearing in a new series Criminal Minds. He played a lead role of Derek Morgan from 1st to the eleventh season of the series and left the show. He also appeared in the 12th and 13th season of the show in episodes "Red Light" and "Lucky Strikes." In 2017, he was cast in the lead role of Seargent Daniel "Hondo" Harrelson in the CBS show S.W.A.T and is currently busy with the series. In 1997, he made his film debut from an indie movie Hav Plenty. Following year, he appeared in the HBO’s action film, Butter. He then appeared in few other films such as The Brothers, Motives, Greener, Motives 2 and Kill Me and Deadly. In 2014, he made voiceover work in DC’s animated movie Justice League: War- he voiced superhero Victor Stone/Cyborg. In 2015, he reprised his role in another part of Justice League, Justice League: Throne of Atlantis and in 2017, Justice League vs. Teen Titans. In 2018, he reprised his role in a new movie The Death of Superman. 1998- Image Awards for The Young and the Restless. 1999- Image Awards for The Young and the Restless. 2000- Image Awards, Daytime Emmy Awards for The Young and the Restless. 2001- Image Awards for The Young and the Restless. 2002- Image Awards for The Young and the Restless. 2005- Image Awards for The Young and the Restless. 2006- Image Awards for The Young and the Restless. 2015- Image Awards for Criminal Minds. Besides, some of his nominated awards include Daytime Emmy Awards, Black Reel Awards, Image Awards, and People's Choice Awards. Shemar Moore's net worth is $16 million, according to Celebrity Net Worth. His salary was $175K per episode in Criminal Minds. His 2016 film, The Bounce Back collected $321,910 at the Box Office. His 2016’s animated movie, The Justice League vs. Teen Titans earned $3.98 million worldwide. Shemar Moore has three lavish cars; Audi R8 which cost $164, 150 in the U.S, sports Range Rover which cost nearly $87K and Ford Bronco. Moore is active on Twitter. He has huge fan followers on his social networking sites. He is very smart in collecting his fan followings mostly on Twitter with his absolute Tweets. Shemar Moore is unmarried and has no children. He is dating Quantico star Anabelle Acosta for several months. He revealed his new girlfriend in the 2018's Grammy Award ceremony in January 2018. They rarely appear together in award functions and public events. The couple is together for months but is not yet ready to start their family as husband and wife. Before that, he dated soccer player Shawna Gordon from 2015-17. His ex-girlfriend Shawna Gordan is one of the popular athletes in America. His name was linked to several Hollywood divas in the vast including Toni Braxton, Halle Berry, Ashley Scott and Kimberly Elise. Moore loves spending time along with his books and family. In 2016, he responds to his gay rumors and revealed his sexuality. In fact, he also revealed the name of a few celebrity women he dated previously. Moore is pretty active on Instagram. He shares his daily lives with his followers via his Instagram. He has several tattoos on his body. His right-arm features a lion tattoo. He has tattooed Freedom and Carpe Diem on his back. Shemar is very protective of his stuff. Therefore, he is also known as “Clever Man” among his close people. He is a good traveler and loves collecting his traveling diaries whenever he moves out. Here are the five unusual facts about SWAT's actor Shemar Moore you should watch.